Drawn west by the mountains, Kim feels most at home amongst the trees. Coming from Calgary, and having grown up mostly in Ottawa, she is very excited to have escaped big city life and finally call Invermere home. With a background in environmental education, Kim brings varied experience in community engagement, program development, and volunteer management. 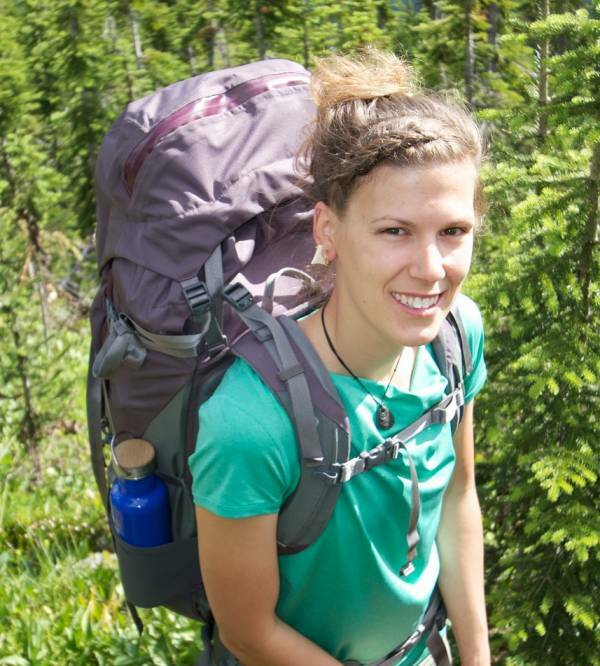 Along with an MA in Environmental Education and Communications, Kim has plenty of enthusiasm for outdoor activities and passion for connecting people with the natural world.. Kim teaches our Beyond Recycling, Classroom with Outdoors, and Winter Wonder programs.